This informative session at FFA2017 provided three concrete examples of the SDGs in practice. 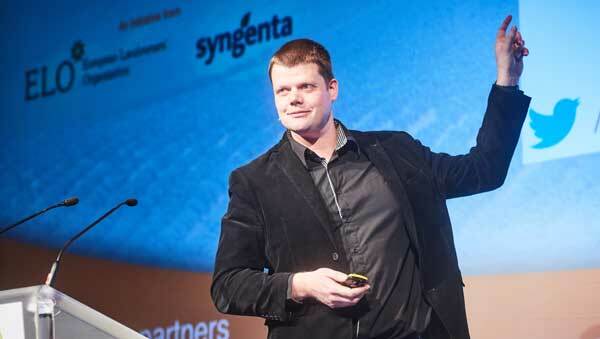 Jacob van den Borne, Van den Borne Aardappelen, uses precision farming to successfully produce potatoes, sugar beet and maize in the 140 different fields he manages in the Netherlands. For him, the concept “is doing the right thing at the right moment in the right place”. It can be encapsulated in three words: time, location, application. Mr Van den Borne gave two examples of the technology’s benefits. It can be used to scan the ground to establish soil conductivity and reveal where the greatest yield potential lies. Also, by identifying possible disease, it alerts when protective measures are necessary. The data come from sensors placed on machinery, satellite images and drones. He would like the technology’s possibilities to be better known and used. “We want to build an experience centre,” he said, so that other farmers can benefit from his first-hand knowledge. Leontino Balbo Junior, Executive Vice-President of Native, a Balbo Group company, is producing sugar cane sustainably. He does so by eschewing traditional practices and by creating a new biological production system: ecosystem revitalising agriculture. He has brought the soil back to life by feeding it with minerals from ground rocks, using green harvesting techniques, applying crop rotation and replacing pesticides with biological control practices. In the past 20 years, the soil has become richer and yields have risen 24%. Alongside the sustainable practices, some 2.5 million trees have been planted, creating islands of biodiversity. The combination is providing a rich habitat for fauna, vertebrates, birds and mammals, while drastically reducing greenhouse gas emissions. The company has gained numerous awards and now exports to some 60 countries. “Could the practice be replicated in other crops?” Mr Balbo asks. He is showing it can, as he successfully applies it to the production of sunflower, soya beans, organic corn and cotton. 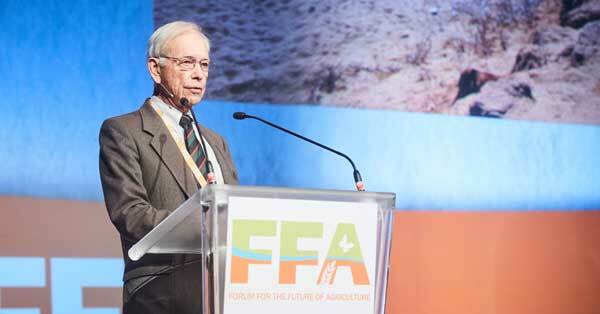 Allan Savory, Founder and President, Savory Institute, warned the audience that “global desertification and climate change present a greater danger than all the wars ever fought”. Previously, livestock overgrazing was considered to cause desertification, leading to their removal or reduction in numbers. Other measures, ranging from irrigation to tree planting have also been used without success. Desertification requires a biological solution, Mr Savory stressed, explaining how livestock could help reverse the phenomenon and support agricultural production. The new approach he champions is based on holistic management. This takes into account the complex web of social, cultural, economic and environmental factors “by using a single overarching context or reason for all management and actions”. He contrasted this with conventional, or reductionist, management, which reduces complexity to simple contexts, such as meeting a need or to address a problem and which “commonly leads to disappointing results and unintended consequences”. Mr Savory presented examples of successes in countries as far apart as the US and Zimbabwe from this holistic approach of “using livestock to heal land while feeding people”. That, he concluded, “is the way to achieve the Sustainable Development Goals”.